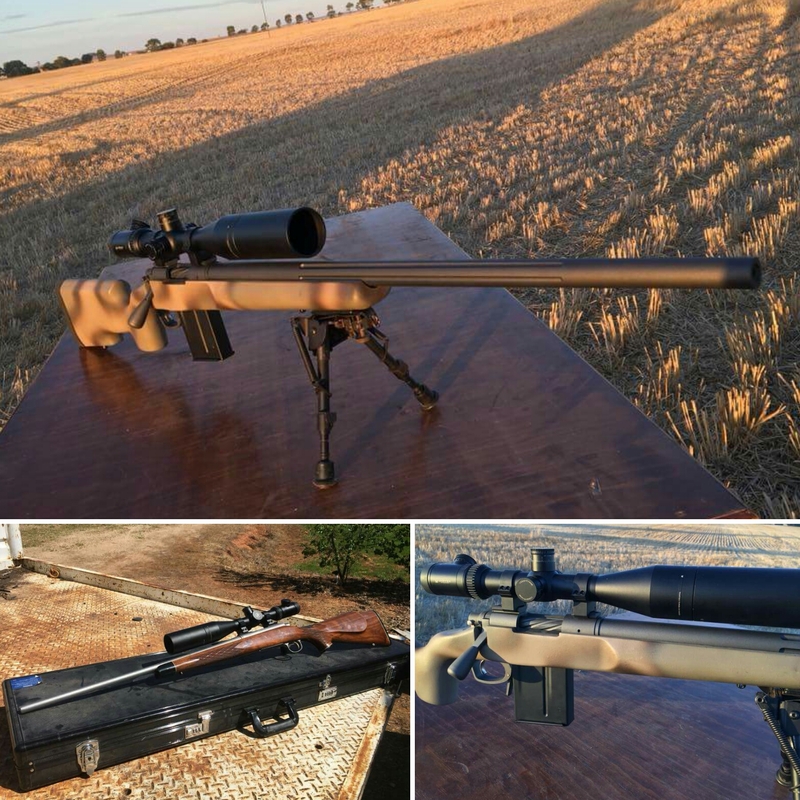 This week’s build report is an example of rebuilding a Remington 700 into a Grayboe Renegade stock, designed for South Australian field use. 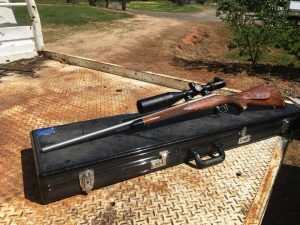 We replaced the barrel with a new Swan brand heavy varmint profile in 243ai calibre, 1:8 twist, 27″ length. It was fluted for weight reduction and aesthetics. The bolt was spiral fluted to help clear debris from the action while hunting. 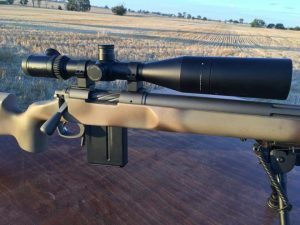 We opted for the Aussie-made Atlasworx bottom metal and Accurate Magazines. 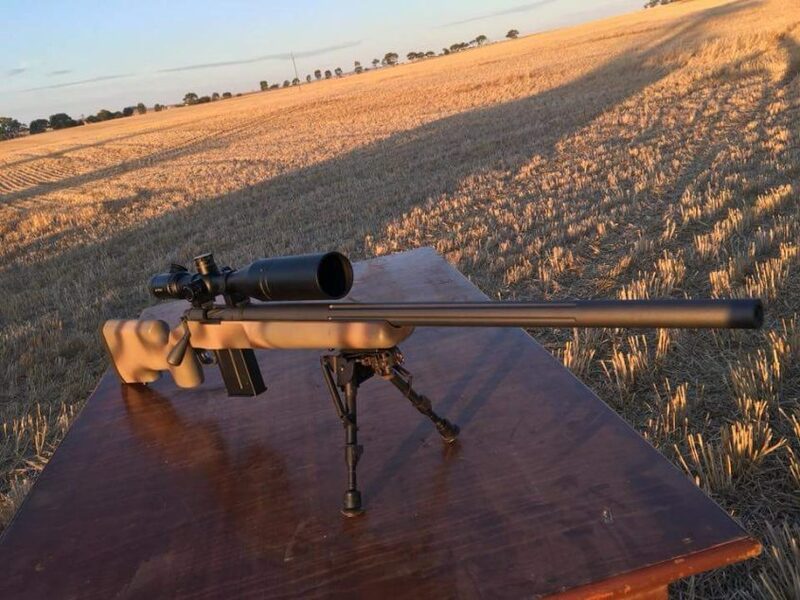 For maximum accuracy, the rifle was bedded into the Grayboe Renegade stock. Originally the design called for flat dark earth or similar Cerakote. But we decided to freshen it up with a contrasting colour. We worked with the customer to settle on Tungsten, which made the Desert Transition Camouflage pattern really pop on the Grayboe Stock. It looks right at home among the stubble in the South Australian sunset, waiting to get to work. Thanks to our customer for these great photos! Tungsten cerakote draws out the darker shades of the Grayboe Desert Transition Camo pattern, spiral bolt flutes and straight barrel flutes.